You make fantastic products and have control over your production processes. To make the next step in efficiency you’re thinking about faster order administration and decreasing your time to market. Let me offer you the following practical possibilities to consider. The world has changed dramatically since 2008. Businesses can (and need) to look at growth opportunities with new eyes. Flexibility and speed through the entire supply chain are the new success factors for effectively responding to and capitalizing on changes in the market. Achieving this depends on more intensive cooperation between customers and their suppliers. The smarter organization of processes has to have priority over the hiring of more staff and the creation of extra stock. More revenue shouldn’t automatically relate to more ‘handling’. Growth is great, but not with an equal growth in the number of associated risks and commitments. The order administration can be further automated. The “long tail” of smaller customers and suppliers in particular can be well served via online platforms. This will allow your own personnel to focus on the ‘real’ sales and purchasing activities while ensuring the customer service also stays at the right level. Being able to react quickly to changing market conditions is becoming increasingly more important than lowest possible purchase price. Lead times running into months are no longer acceptable in the marketplace – reacting slowly costs money. Can you purchase more locally with a better flexibility/price position? 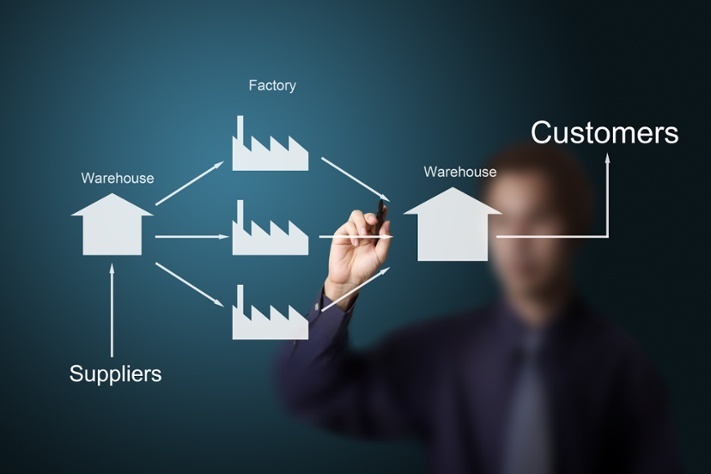 Is it possible to create more transparency in the supply chain? Businesses in a supply chain can sometimes do more by collaborating – effectively operating as one (1) organization with a visibly stronger position in the market. Factors like speed and flexibility are much harder for competitors to copy than having the lowest price. Real-time insight into each other’s processes (among other things) will help build a much stronger chain. Why is it actually necessary to finance so much working capital? A better overview of material requirements in the supply chain can quickly lead to reduced cashflow requirements. Invoices that are sent online can be paid faster, potentially even on the basis of actual use. Everything that we’ve become so used to as consumers – the ease of ordering on amazon.com or communicating through Facebook or via Whatsapp – will also be valued by your B2B clients. Do your external communication around orders or your delivery process offer the amazon.com experience? How simple and user-friendly is doing business with you? What do you think? Triggered by these ideas? Please do leave a comment, or give us a call to discuss these topics further.